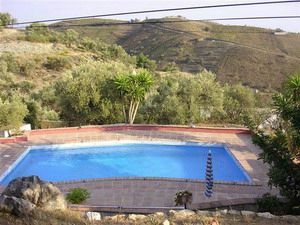 Private villa with swimming pool beautifully situated at the border of the National Park "Sierra de Tejeda y Almijarra" east of Malaga (Costa del Sol). 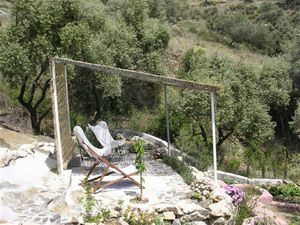 Surrounded by famous white Andalusian villages, Casa Lagabella is undisturbed by any traffic and offers unspoilt views to the Mediterranean Sea and the mountains. 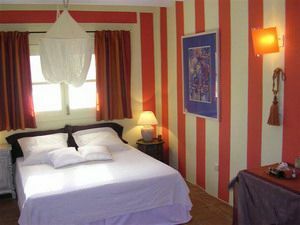 We offer 2 individually designed and decorated rooms each with their private bathroom and terrace, several places to relax in the garden under century old olive trees and a 4/10 m swimming pool. 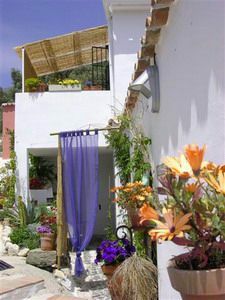 Ideally situated for those seeking the mix of peaceful Spanish rural life and the more animated coastlife. 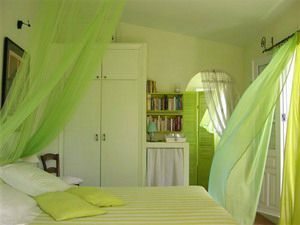 Nature has been generous in this region, giving an incredible richness of attractions. 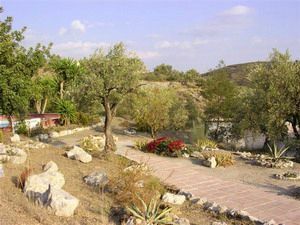 The incomparable setting of the Sierra de Tejeda offers limitless possibilities to enjoy activities in close and respectful contact with nature. 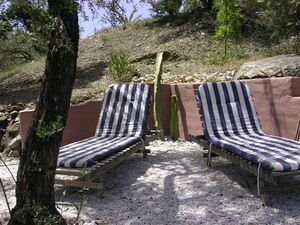 Casa Lagabella is situated perfectly for afternoon and day trips. 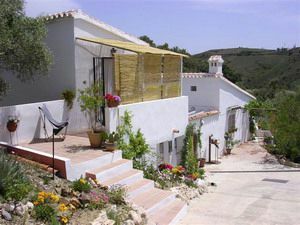 Whether it's Malaga, Granada, Ronda, Antequera, or miles of unspoiled coastline; we are in easy reach. Before coming to Spain, we ran a listed restaurant in the South of France and we still enjoy offering a delicious meal made with only the freshest local produce. Our service could include (upon advance request) an evening meal. 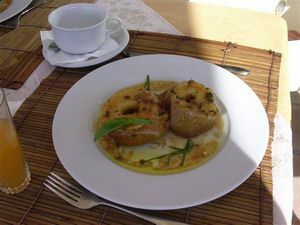 You are welcome to either dine with us or be served on your private terrace. 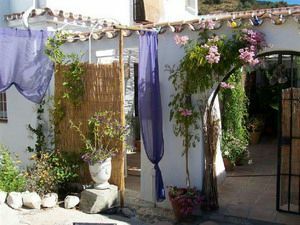 The service at Casa Lagabella is second to none; whether it be a cold drink and snack after a swim or a glass of wine on the terrace in the evening - we are here to see that you have a relaxing and splendid get-away in beautiful Andalusia. 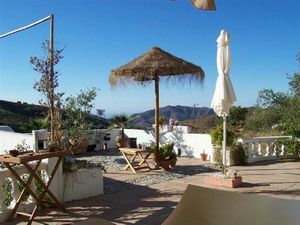 We can provide an Internet service and can pick you up at or drive you to Malaga airport. There are endless walking and biking possibilities in the area of the Sierras. Beautiful drives through the Mudejar Route which is 75 kilometres long, entirely inland. It traverses the municipalities of Arenas, Archez, Salares, Sedella and Canillas de Aceituno, each within the foothills of the Almijara and Tejada Sierras. All are small towns and villages with Moorish and Mudejar remains in good repair. 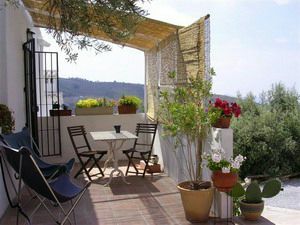 One day trips to Malaga, Antequera, Ronda to visit either the Picasso museum, the Gibralfaro Castle, see the Bullfighting Museum or visit one of the oldest Bull Rings of the country. All kind of watersports are available as the coastline is only at a 40' drive of CasaLagabella whether it is for diving, waterskiing, sailing, simply sunbathing or have a break at the Aqua Veliz Waterpark. Boat trips on the Mediterranean out of Caleta Port. 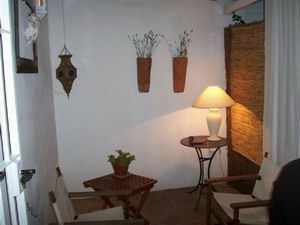 Visit the famous Cueva of Nerja or the Treasure Caves of Rincon. Tropical Garden visits such as "La Concepción" which is the most beautiful and important tropical botanical garden in Spain and one of the best in Europe and created, more than a century and a half ago. Jeep Safari possibilities in Velez-Malaga and Nerja. If you want anything else, ask us and we will try to arrange it.